Media outlets compared Democratic star Barack Obama to Republican legend Ronald Reagan on the occasion of what would have been the latter's 100th birthday. This led the team of analysts at Accuracy in Media to make a close examination of media coverage of the two presidencies. AIM focused on the two newspapers which, to this day, drive coverage in most other media outlets—The New York Times and The Washington Post. 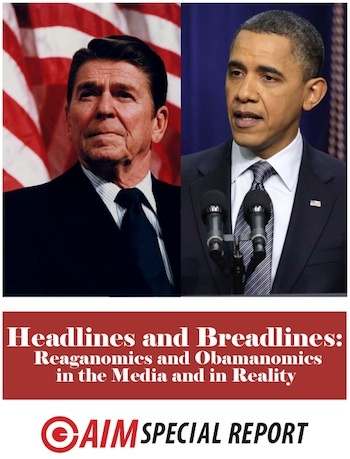 We found that coverage of President Reagan's economic program was as overwhelmingly negative—by better than 80 percent—as President Obama's was positive. You can read the entire report via immediate download now for only $10.